You know Google I/O is right around the corner when the official app gets a fresh coat of paint. Yes, today is the day. 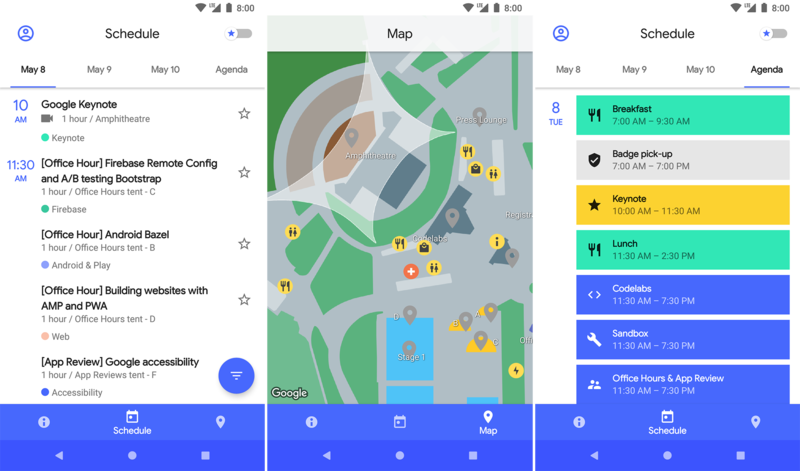 You can download the new Google I/O app right now and begin reserving seats and adding events to your schedule. It also looks pretty different. The changelog is what you'd expect for a new I/O update. It could be used to describe any update of this particular app. Read important information about the Event, Travel details, and FAQ. If you're going to I/O, the app can help you reserve seats at sessions. You can have as many reservations as you want, but none of them can be overlapping. 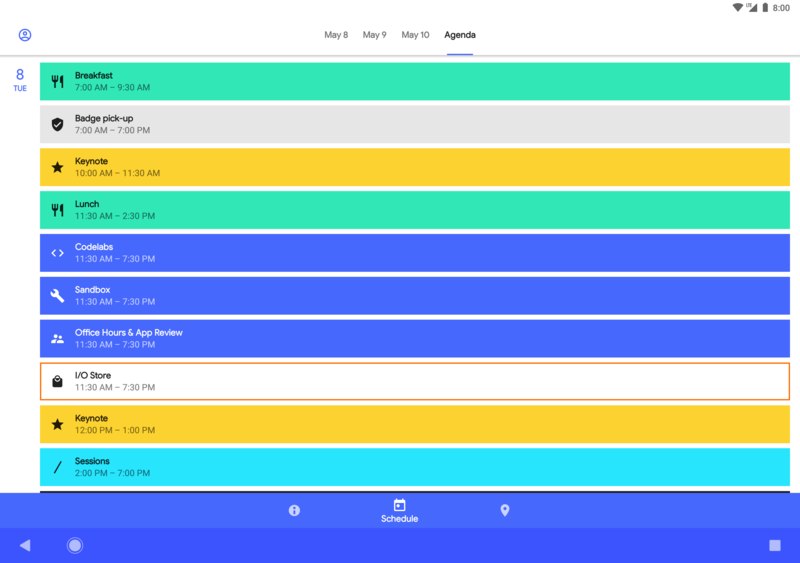 If you're not going, you can still star things you want to follow—much of Google I/O is live-streamed. The style of the app has also changed quite a lot. There's now a bottom navigation bar, and the system nav bar is themed to match it. The navigation bar provides quick access to general info, the schedule, and a map. You can see the old app in our post from last year. The new I/O app is live in the Play Store, and we've got it on APK Mirror.